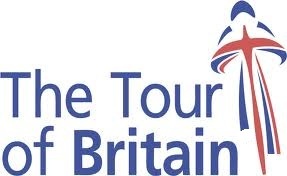 The Tour of Britain‘s three most mountainous stages ended in contrasting sprints won by world champion Thor Hushovd, lead-out specialist Mark Renshaw and overall leader Lars Boom. Ahead of the final two flat stages and individual time trial Boom – a specialist against the clock with two prologue wins to his name this year – holds a commanding 28-second advantage over the field and has established himself as the odds-on favourite to defend the gold jersey all the way to Sunday’s finish in London. 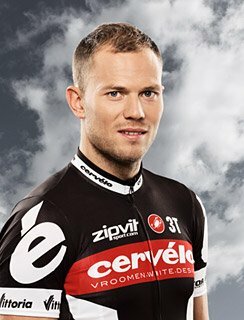 World champion Thor Hushovd (Garmin-Cervélo) prevailed after the concluding first category climb of Caerphilly Mountain shattered the leading group ahead of the finish. 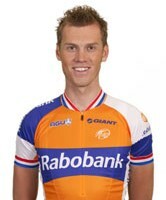 Lars Boom (Rabobank) finished a strong second to preserve his overall lead. An Post’s Pieter Ghyllebert was prominent in the day’s breakaway as he sought to consolidate his lead in the sprinters’ competition, which he duly did by winning at each of the three intermediates. He was joined in the escape group by Jack Bauer (Endura) and Kristian House (Rapha Condor). The trio established a 5½-minute lead until Sky started driving the chase behind, looking to set up Welshman Geraint Thomas for a win on home soil. The break was caught inside the final ten kilometres as the peloton headed for the steep final climb. Sky’s Steve Cummings was the first to attack, joined quickly by Jonathan Tiernan-Locke (Rapha Condor) as the bunch shattered behind them. They were gradually reeled in, and a selection of around 25 riders tackled the resultant descent together. In the final sprint Hushovd took the final corner with around 200 metres remaining in first place, and easily held off Boom by at least four lengths to claim the win. Thomas was forced to slow as Hushovd beat him to the corner and finished 11th, although still in the same time as the stage winner. With Mark Cavendish finishing in a chasing group 31 seconds down Thomas moved up to second overall, 12 seconds behind Boom. Boy van Poppel (UnitedHealthcare) is third at 14 seconds. The best double act in the business – if comedy had the Two Ronnies, when it comes to cycling sprints their equivalent is the Two Marks – notched up yet another one-two on the HTC-Highroad farewell tour. But this time it was Mark Renshaw who raised his arms in victory as Mark Cavendish gifted his lead-out man the win in Exmouth. The Devon stage featured three categorised climbs in quick succession in its first third before a long and largely flat run to the finish, and constantly ebbed and flowed for much of its length. Rapha Condor’s Jonathan Tiernan-Locke was the main protagonist early on, breaking away and collecting the maximum 22 points from the day’s three categorised climbs to take over the lead in the King of the Mountains competition. He was eventually caught by two chasing groups to form a 13-man escape. This in turn was reduced after the final sprint 26km from the finish to the trio of Alex Wetterall (Endura), Preben Van Hecke (Topsport Vlaanderen) and Damien Gaudin (Europcar). With HTC-Highroad – minus Alex Rasumssen, who was dismissed for missing a third doping control – and Garmin-Cervélo leading the peloton, last man Gaudin was left dangling off the front until being finally swept up with less than 4km left. In a frenetic run to the finish, Garmin took over the pace-setting with HTC keeping a watching brief, but were challenged at the front by both An Post and UnitedHealthcare, with the latter jumping to the front inside the last kilometre. But as the leaders swung round the final right-hander on to the sea-front in Exmouth with 250 metres left, the familiar white-jerseyed pairing of Renshaw and Cavendish accelerated and took over. Renshaw opened up his lead-out as usual but Cavendish delayed his own sprint to hold the rest of the bunch at bay, allowing the Aussie to claim only his second individual stage of the year at a canter. Just to prove a point, Cavendish easily outsprinted the rest of the field to take second ahead of UnitedHealthcare’s Robert Förster and Sky’s Geraint Thomas. Thomas remains second overall, 12 seconds behind Lars Boom. The finish was a classy gesture by Cavendish in recognition of Renshaw’s three years of service as the pilot fish nonpareil to the best finisher in the sport. It also made a point to the Australian selectors who have chosen not to include him in their squad for the upcoming World Championships. I dare say he wasn’t giving 110% [at the finish]! There’s been a lot of times I’ve helped him to victories so it was great to see him help me win a stage. The plan was to work for Cav like all the time. I made sure I was first through the corner at 250 [metres to go] and put the head down and went from there. I maybe put one or two lengths into him through the corner and he probably hesitated a second or two to give me a few metres advantage. Lars Boom strengthened his grip on the gold jersey by claiming his second win of the race after a crash-marred stage that climbed Cheddar Gorge before finishing in Wells. There was plenty of early action, with the first King of the Mountains and sprint intermediates coming within the first 20 km. Climbing classification leader Jonathan Tiernan-Locke led a small break over the top of the opening third category climb before returning to the bunch. The key GC contenders then went after the three bonus seconds available at the first sprint. Boom already looked to be on his way to securing the maximum bonus when behind him second-placed Geraint Thomas attempted to squeeze into a small gap and appeared to touch pedals with sixth overall Ian Bibby (Motorpoint), causing the pair to go down heavily. Although Thomas eventually remounted and was able to regain the peloton after they neutralised racing, Bibby was forced to abandon and taken to hospital with a broken collarbone. The day’s main breakaway subsequently formed, comprising Ben Swift (Sky), Lars Bak (HTC-Highroad), Mark McNally (An Post) and Paul Voss (Endura), although the Rabobank-led peloton kept them on a tight leash and never allowed them much more than one minute’s advantage. Swift yo-yoed off the back on the climb of Cheddar Gorge before being dropped on the descent, leaving the other three to continue out in front before being finally caught on the final first category climb of the race, Old Bristol Hill, with less than 30km remaining. Tiernan-Locke was first over the summit, ensuring victory in the King of the Mountains competition. On the run-in to the finish the peloton shattered, leaving a front group of 21 including Boom to contest the finish, while a struggling Thomas found himself cast adrift in the main bunch. Endura’s Iker Camano launched a late solo attack, but he was reeled in before the final sprint. Garmin-Cervélo’s Gabriel Rasch and Julian Dean led into a tight right-hander with 200 metres to go. However both overcooked it, with Rasch piling straight into the barrier. Immediately behind them, Boom was able to profit from the resultant confusion to win the sprint as he pleased by at least six bike lengths ahead of Europcar’s Alexandre Pichot and NetApp’s Leopold König. With his time bonuses and with Thomas finishing 1:24 down in the main bunch, Boom extended his overall advantage to 28 seconds over new second-place man König, with Garmin’s Daniel Lloyd now the best-placed British rider in third, a further second back. Thomas dropped out of overall contention to 12th overall. With a comfortable cushion and his biggest strength, Sunday’s short time trial, to come, Boom is now in complete control of the race and should clinch overall victory barring an accident. Having won two stages and added a second place, there is no question that he has been the strongest and most consistent performer this week, and throughout today’s stage he was always well placed at the front of the bunch ready to cover any moves his rivals threw at him. After five completed stages, the winners provide some insight into who is carrying good form into next week’s World Championships in Copenhagen. Boom will enter the time trial on a wave of confidence and form, and poses an outside threat in the road race. The latter, which is more suited to pure sprinters than in recent years, will see Mark Cavendish installed as the man to beat, backed by a very strong British team which includes Chris Froome and Bradley Wiggins – second and third at the Vuelta a España – veteran David Millar, Thomas, Steve Cummings, Jeremy Hunt and Ian Stannard. Stage four winner Thor Hushovd is sure to put in a strong defence of the rainbow jersey and Peter Sagan, who is not racing here but was the dominant sprinter at the Vuelta with three wins, will also feature at the sharp end. Neither can rely on a team as strong as Britain’s, but both will be riding on others’ coat-tails ready to pounce at the finish. 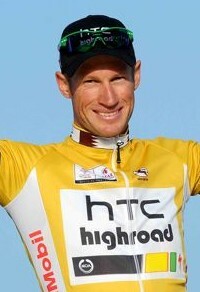 Mark Renshaw will, of course, be absent from the Australian squad.